The most iconic route in the whole of the USA and a glimpse into Main Street America you won't get anywhere else. 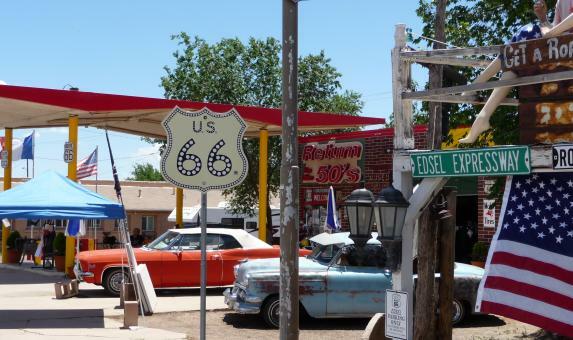 Click here for our full Route 66 section including videos, what to see and do along the way and itineraries of various durations. By car or Harley Davidson - Bon Voyage will certainly have a mode of transport to strike your fancy. Not keen to drive? Don't worry, escorted coach tours are also an option. It's time to GET YOUR KICKS Route 66 style!